During your school trip to Williamsburg you may want to take a ghost tour in Colonial Williamsburg. Students of all ages will enjoy the scary experience. Your group will learn about ghost legends of the city and travel the streets they trod. The tour is known as the Original Ghosts of Williamsburg Candlelight Tour. The group will be led through the historic area of Colonial Williamsburg by candlelight. There will be a guide who will share eerie and fun folklore about the old city. 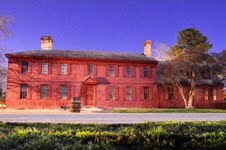 The ghost tour is based on the book “The Ghosts of Williamsburg,” written by L.B. Taylor. This program is family-friendly and entertaining. The tour is offered to visitors year-round on a nightly basis. Tours are conducted rain or shine. You never know what may happen during the Candlelight Ghost Tour. For example, you may hear voices or feel a tap on the shoulder by one of the lurking ghosts. There are carts that will creak on the streets as you walk and listen to the guide. The students will also learn some trivia about the city of Colonial Williamsburg. You will get to see a number of different sites and hear the fascinating tales about the spirits lurking in the shadows. The group will meet at the William and Mary Bookstore. The students will have some free time to take photos of the various sites. There have been several people who have captured many interesting looking images during the tour. This tour is one your students will never forget and they will enjoy the trivia about the city.